Looking for labels in Ashford? We're on a roll! Make your promotions stand out with printed labels, stickers and decals. Contact us on 01233 624345 for a quote. 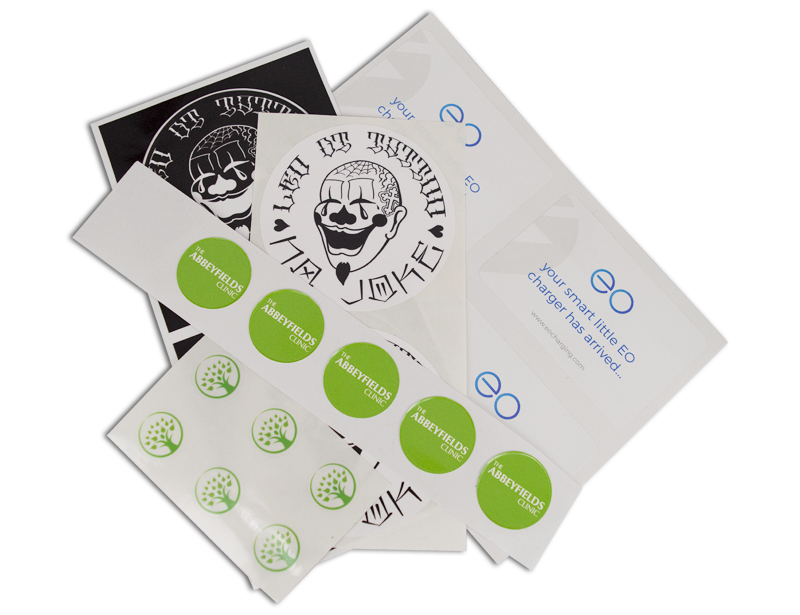 Labels, stickers and decals are a great way of transforming packaging or plain spaces. Talk to us to find out how to make your project stand out. Labels can bring a product to life, convey vital information, promote a special offer or reward a well-behaved child. They can be printed in a variety of colours and cut to an assortment of shapes. They’re versatile, fun, informative and functional all in one. And they’re essential for your business. More than just a means of identifying your products, making them appealing to potential buyers, labels can be used for a whole variety of uses. 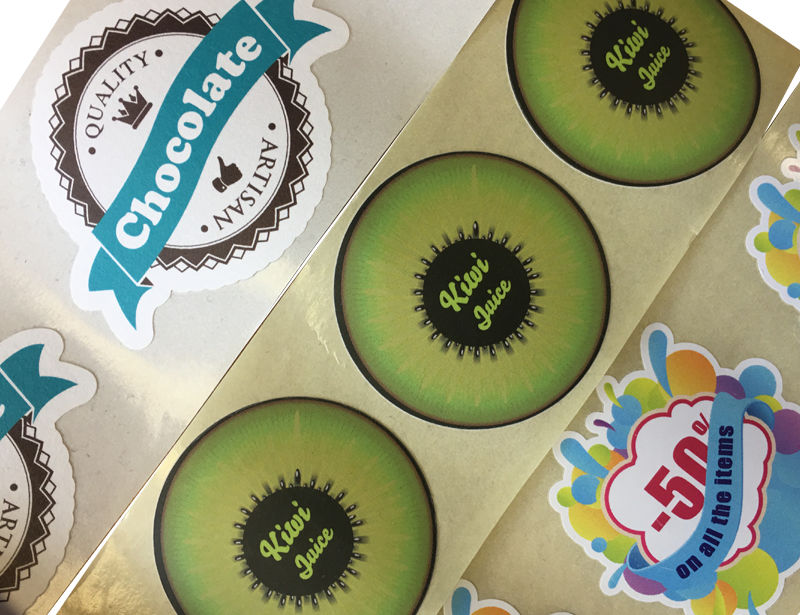 Make your promotions stand out with stickers on a roll, publicise important safety information, or highlight your brand around town. Die cut to whatever shape you require, stickers on a roll are an effective way of promoting offers, such as Buy One Get One Free or discounted prices. 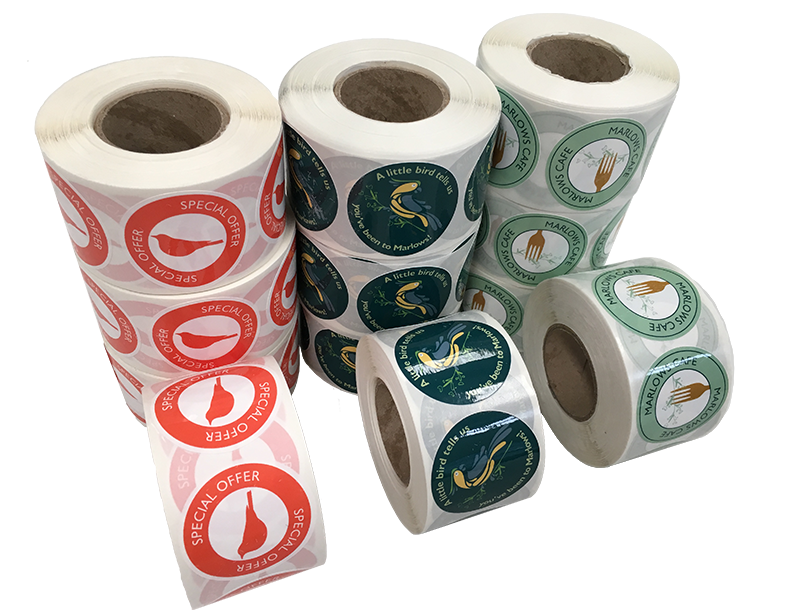 Printed in a full range of colours, stickers on a roll are the most cost-effective way to order labels in bulk. Available on 8 substrates, these labels are machine ready or can be stuck on by hand. 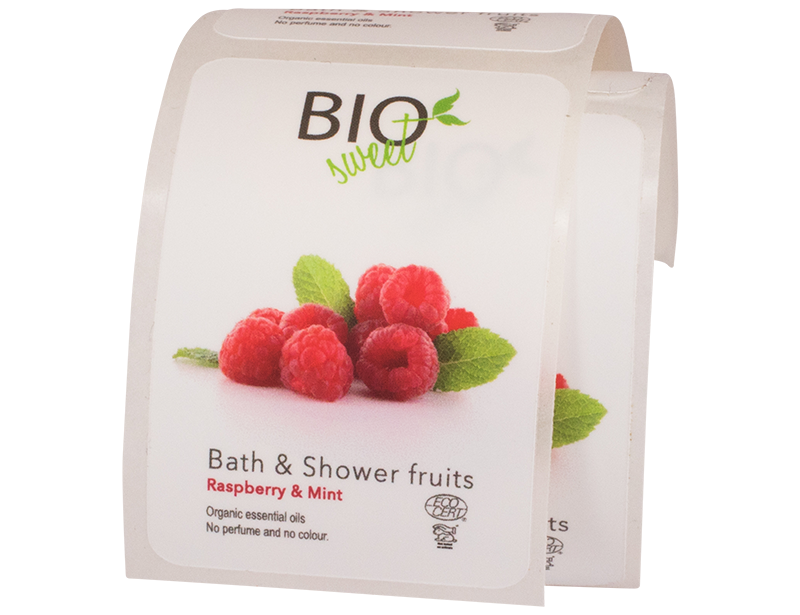 Perfect for labelling product packaging, stickers are also a great way of promoting brands at events. Vinyl labels can be printed on white or clear sheets, and can be temporary or permanent. Suitable for outdoor use as well as indoor, vinyl labels are fully waterproof and UV resistant, and can also withstand extreme temperatures. Permanent labels have a strong adhesive, making them perfect for safety labels, such as fire evacuation procedures or safety messages. 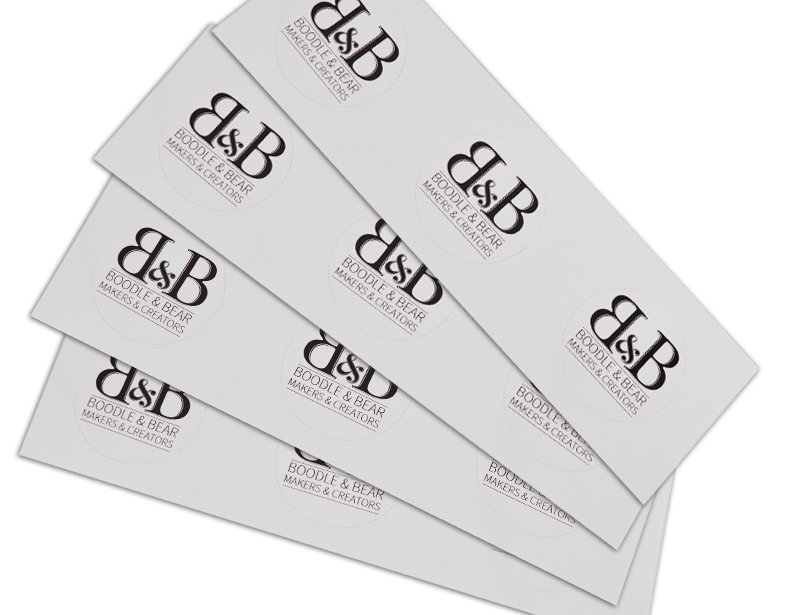 Temporary labels can be removed within six months of application, allowing seasonal promotions to be kept current and regularly updated. If you’re looking for labelling solutions in Ashford, Folkestone, Canterbury and Dover why not contact Kall Kwik Ashford and ask for a quote. 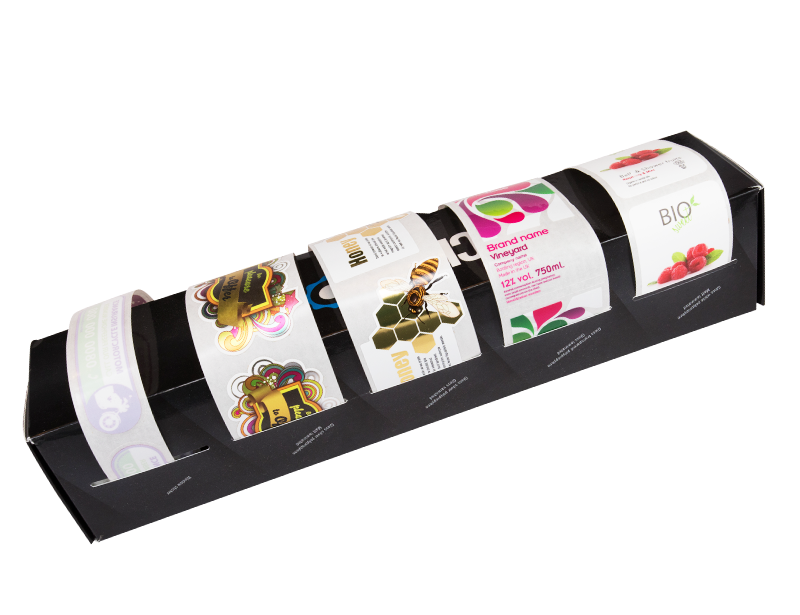 Our labels can be printed onto a range of paper stock, each with different adhesive options. Choose from permanent, removable or water & ice resistant acrylic based glues depending upon your needs. Suitable for food labelling, all our labels can safely have indirect contact with food. They’re also resistant to indirect UV for up to 6 months with humidity resistance available on some styles. There are a number of printing and finishing options depending on the type of label chosen, including gloss varnish, gloss lamination and matt lamination. Contact our team on 01233 624345 to find out more about our printed label solutions.